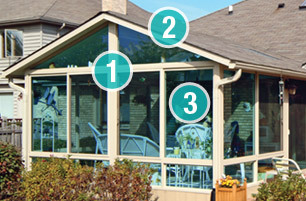 Whether its spring, summer, fall or winter, Patio Enclosures® can create the perfect three or four season room for you. 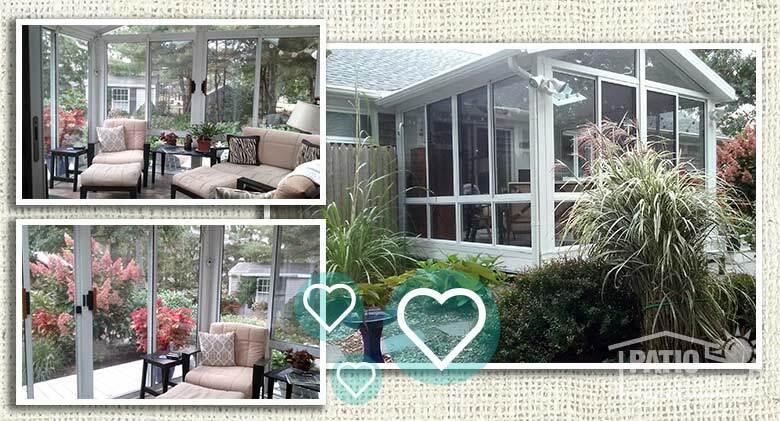 We asked our customers to submit photos and tell us what they loved most about their sunroom enclosures. 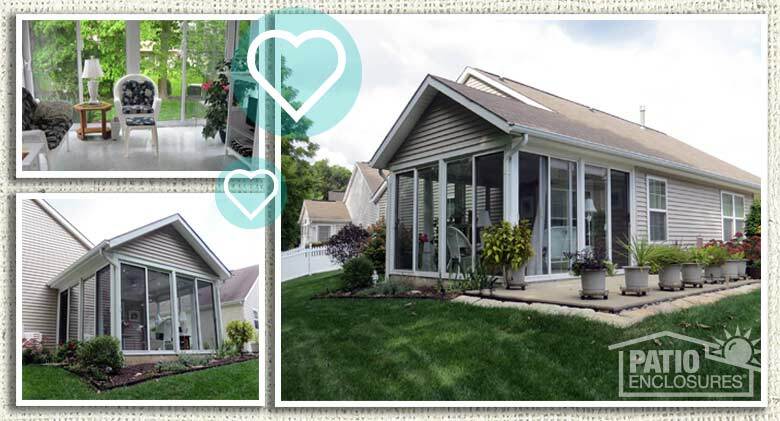 See how homeowners use their sunrooms and get inspired for your home addition. "Here is our four-season room! We love watching the snow fall from the skylights and the versatility of this room. It truly has a different use depending on the season! We love it!" "Sitting outside on a starry night or enjoying the fresh air and sunshine during the day, mosquito free, is my ideal relaxation. I have this now with my Patio Enclosures screen room. Not only is it a place of enjoyment, but it has added value to my home. Incidentally, my two kitties love being in an outdoor, but safe place." 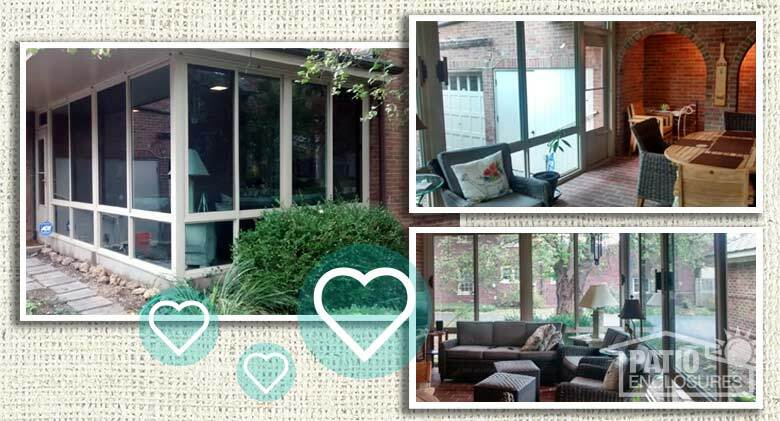 "I REALLY LOVE our all-glass sunroom. I sit amidst the beauty of nature unspoiled by walls and roofing. We dine in this delightful atmosphere morning and evening, and watch the flowers bloom and seasons change. 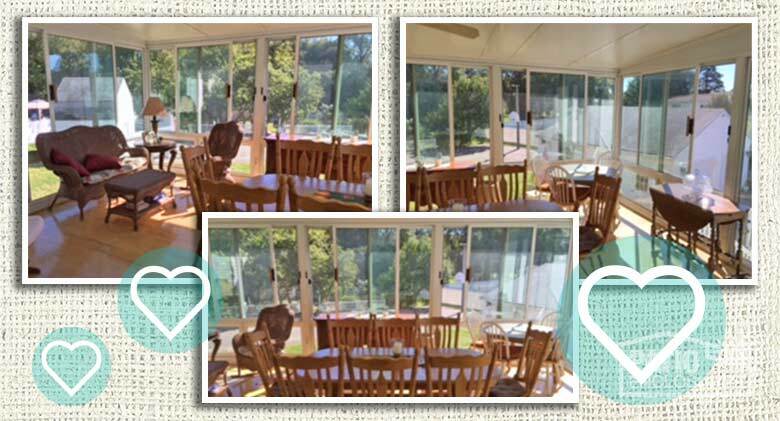 Guests love to be entertained in this magnificent sunroom. 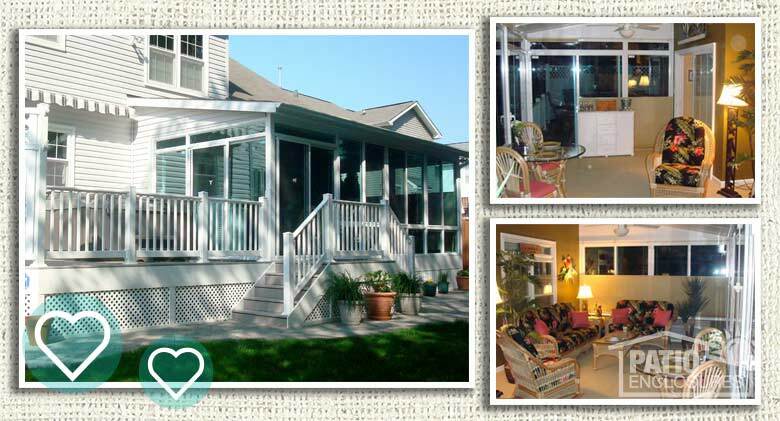 The wrap-around windows and doors open to provide a screened-in porch. If the weather is too hot or cold, the air conditioner/heating unit adds to total comfort. The structure itself is very solid and well made. This is MY room, my Garden Room. Total enjoyment!" 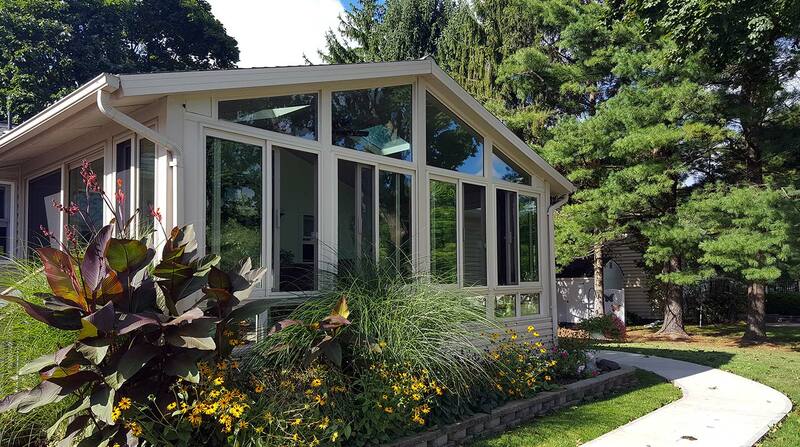 "It [Patio Enclosures sunroom] brings the outdoors inside ... with no insects and controlled breezes with the easy-open slider windows." 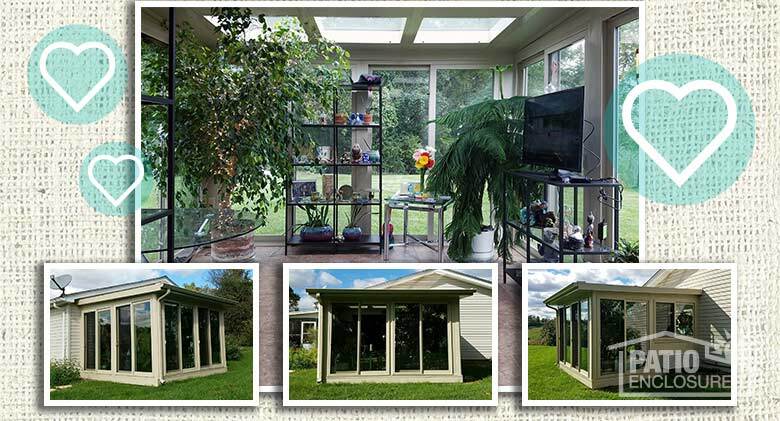 "What I love about my sunroom is that it is a bright and sunny conservatory for my plants and hanging out in and it gives me an outdoor room linking the different levels of my house. I also love looking down on it from the inside balcony and I love the ease with which the windows and window screens slide for a great open air feel. 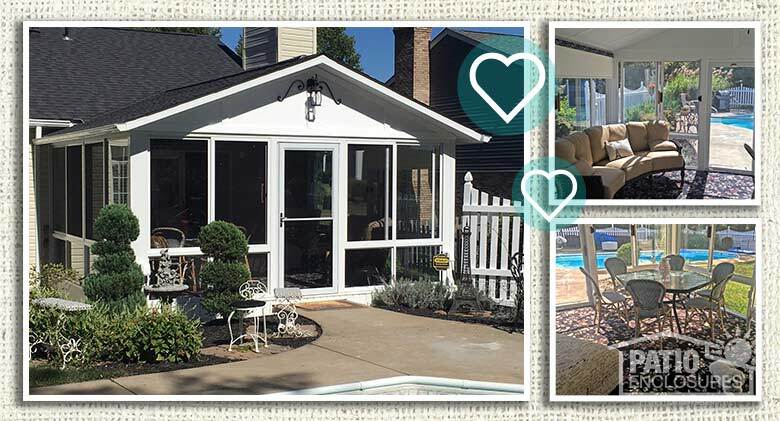 I found it wonderful that Patio Enclosures uniquely worked collaboratively with the customer (me) in producing an affordable custom-build design to link different levels and fulfill my vision." "We built our home without enclosing our porch thinking it was not necessary. Wrong! We were bothered by flying insects in spring, summer and fall. Especially in the evening and were forced inside. Summer storms blew in rain and strong winds tossed furniture off the porch. Something had to be done so we could enjoy our porch and view all the time. 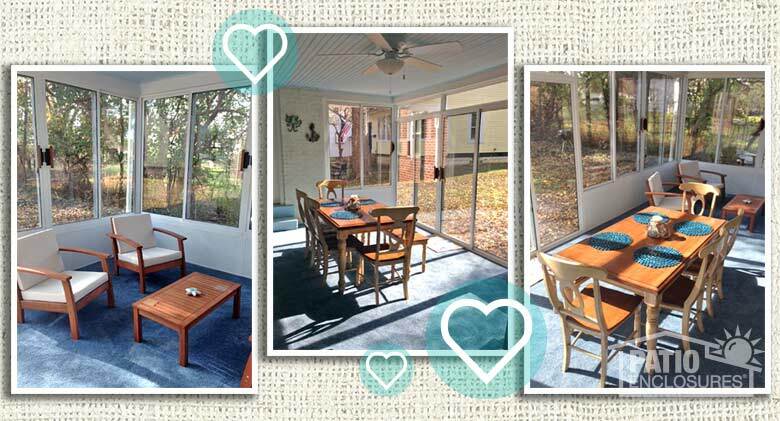 What we love most is that we can now enjoy the porch any time of day and virtually all seasons. It faces southwest so we think even in the winter when the afternoon sun is shining it will warm up our porch." 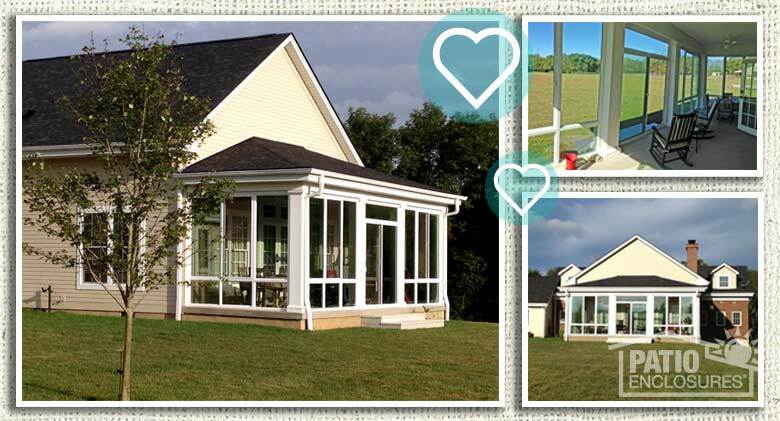 Learn more about porch enclosures. "We are enjoying our room more than ever. Now we can sit out there even if the temperatures are cooler and if it's raining or windy. The windows and sliding door are very easy to open and close. The view is unobstructed. We should have gone with Patio Enclosures years ago. Thank you!" 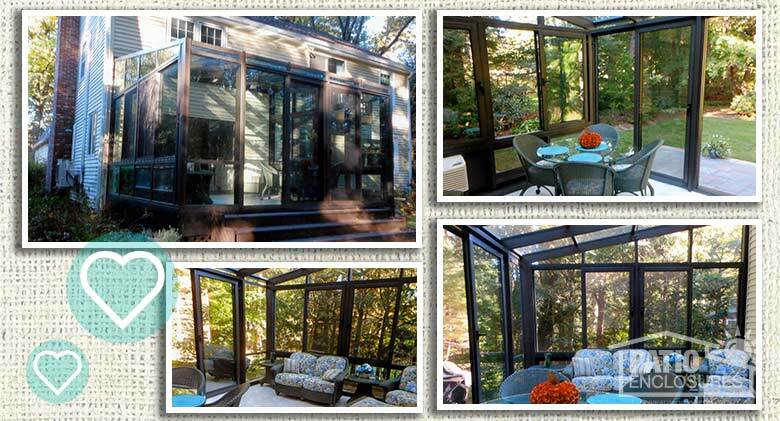 "I absolutely LOVE my patio enclosure! This room is the best room in the house. I enclosed a portion of the large deck in the back of my house and my only regret is that I didn't do it sooner. This room has all the advantages of being outside but without the discomforts, such as bugs and extreme sun, wind or other elements. The windows and screens are fabulous. The fan I had installed provides the perfect breeze if necessary. I can't say enough about my room. I absolutely love it and can't wait to use it during the rest of the year. 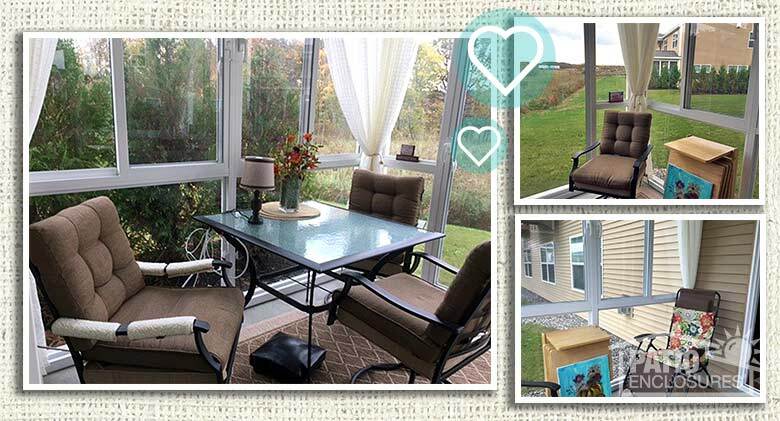 I'm going to watch the season change from the comfort of my patio enclosure room!" 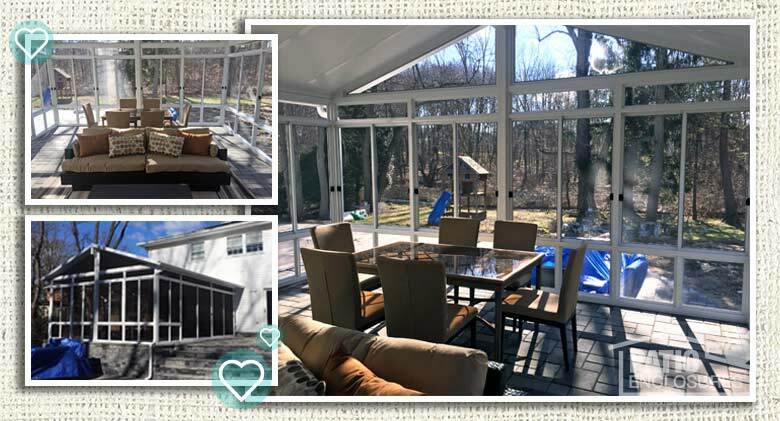 "What I love most about my new sunroom is the stress relief I get from my busy life when I sit out there and listen to the sounds of nature, feeling the sun shining through my skylights, or sitting out at night watching the moon through them too. This room completely rejuvenates me! I start and end every day, all year through, in my sunroom. 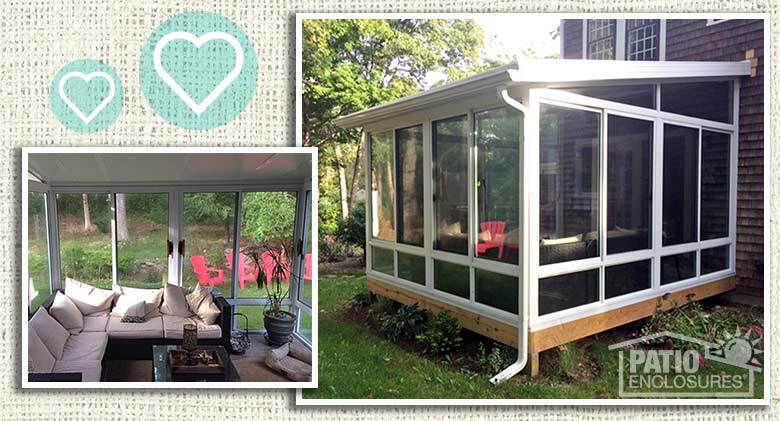 Thanks Patio Enclosures for adding this quality to my life!" "I just love my patio. I have perfect sun exposure so I can enjoy mine longer than others. As long as the sun is out during the day it is toasty warm even in winter. I have a perfect size heater on chilly days so I can still sit out there when it is cloudy. I also enjoy my patio after dark, as I have a ceiling fan with a light, and for just reading, I have the perfect little lamp. The ceiling fan keeps it cool on extra warm days, and I keep my house door open so the AC comes out there to keep it cool enough to sit out on very warm days. It is a great place to take a nap on my lounge chair, and perfect for entertaining. It is the best investment I made in this condo and it will help when selling it, too, having an extra room." 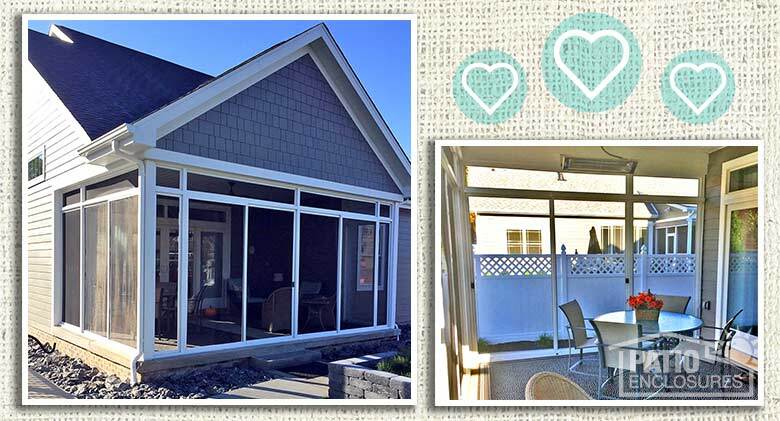 "Our new Patio Enclosure complements the porch of our new home." 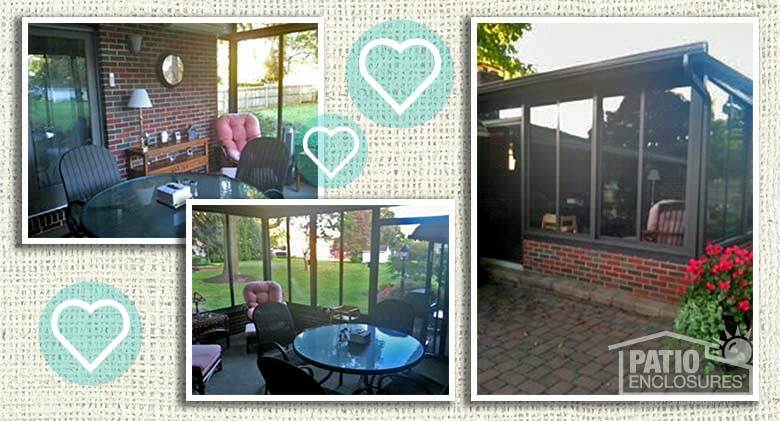 "I love my new sunroom! It is absolutely wonderful, even in a thunderstorm, the sound of the rain on the roof. It houses my large plants, in much sunlight. It is well worth the cost." "It feels like we can enjoy our garden without the bugs, the light of a sunroom is healthy and feels more natural than being inside. Our two Cairn terriers love it as they can hear the birds and sounds of the outdoors." 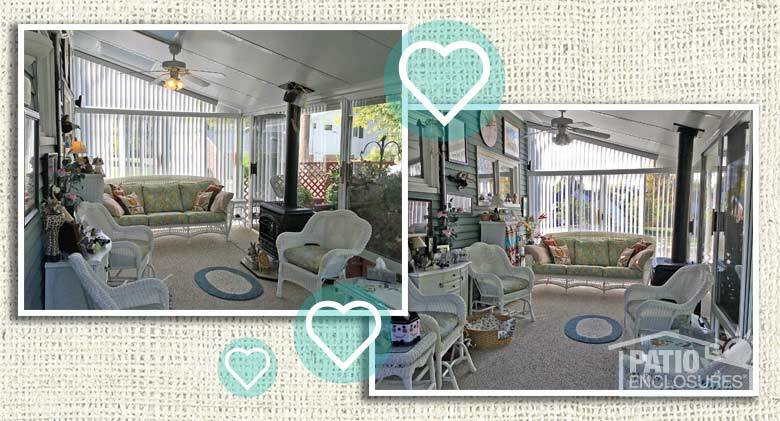 "We love our patio room because it extends the season and our grandkids love eating 'outside'." 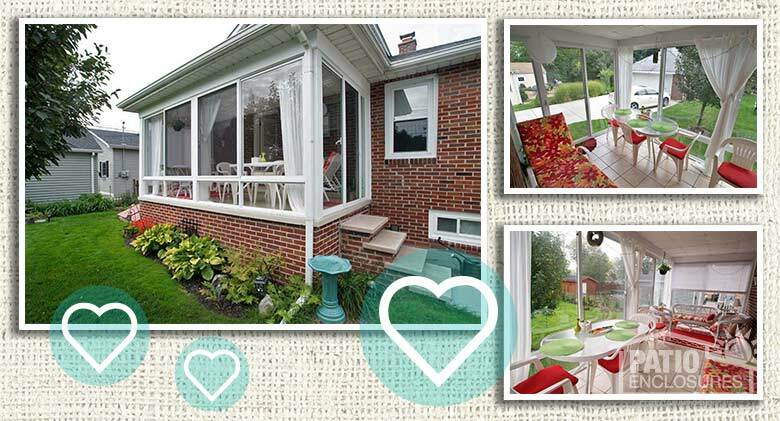 "What I love most about my sunroom is that it's a peaceful place for my family to gather. We have a table for homework, a wicker couch and chair for reading, and a large dining table for mealtime." "We love being inside our enclosure and still feel like we are outdoors on our patio. The quality of the enclosure is exceptional." "We love our new three-season room (installed May 2015). Wonderful for entertaining and a peaceful place in a chaotic world. 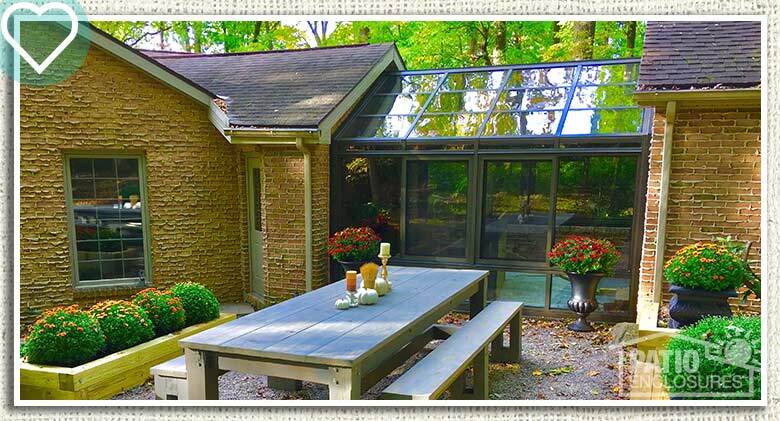 We especially valued Patio Enclosures personnel working directly with our deck builder to integrate the two designs and deliver a seamless installation. Also, the installers were very professional, did a great job and cleaned up very well. Our three-season room is enjoyed year round – no need to really limit it to only three seasons." 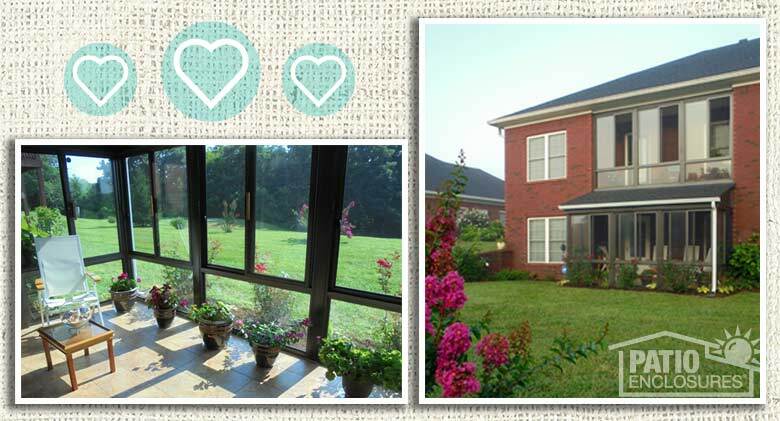 "We really enjoy being able to be outside in our screened in porch to watch our children come home from school, look out onto my husband's beautiful garden with our double blossom Kwanza Cherry tree, a porch free of insects, large enough for two chairs and a rocking glider ... . Our family also enjoys listening to music and also just listening to the birds and watch them fly into our bird bath. It is nice to enjoy just being on the porch to read, talk to our children, enjoy the sunshine and vitamin D ... . Our dog loves sitting right next to the screen. We also believe it added value to our home in many ways. We have enjoyed our patio and would highly recommend others to do the same." 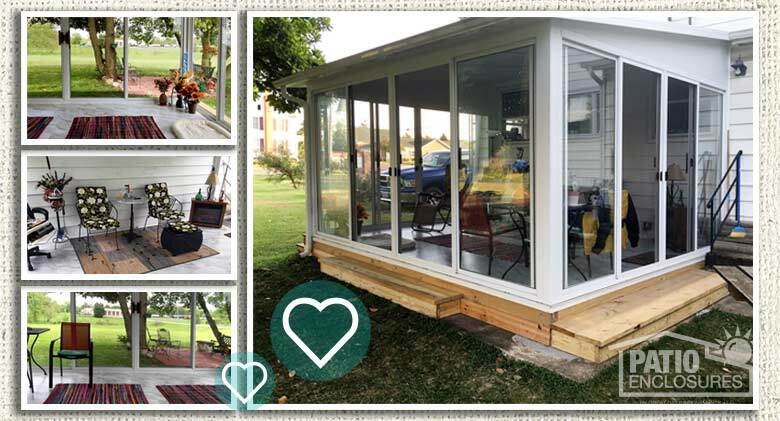 "We love our new Patio Enclosures Sunroom because it extends the spring, summer and fall seasons and brings the outside in." "We love having a space that is both indoors and outdoors at the same time. There is so much light and comfort and atmosphere. It feels like the perfect place to gather, eat, chat and relax. It is both our retreat (a great place to nap) and our community room (a great place to party). Thank you for making that possible." "The A/C flows nicely out to my fun room. In the winter, the heat from the furnace, along with the vent free wall torch blends nicely, and the high performance glass holds it in, even when it's zero out. This custom built system was the best option (and I checked everyone). All that see the room want one! 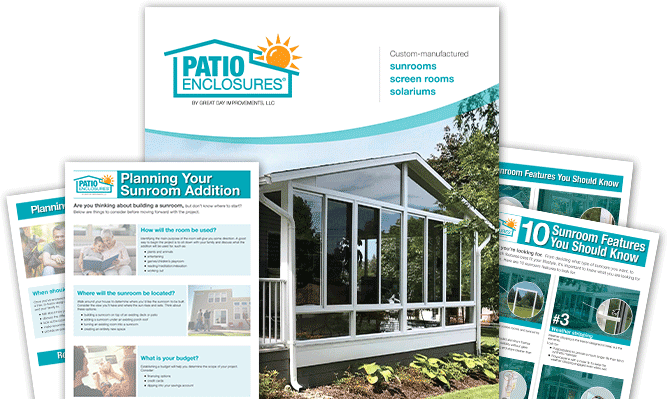 Thanks Patio Enclosures." "Last year we bought a house in the Butler Tarkington neighborhood. It was built in 1932 and had a screened-in porch that was at the back of the house that was in poor condition. We have had two previous porches in other homes that we had Patio Enclosures install ceiling-to-floor glass and screen sliders. So, I knew it would be perfect for this house as well. We enjoy our morning coffee and like watching the evening news on our porch. We are able to feel as though we are sitting outside and enjoy the view and sunlight. It is amazing that these large windows can easily be opened with just a finger to let in fresh air. The window sliders never seem to need any adjustments like sliding glass doors. We enjoy the porch for three seasons. 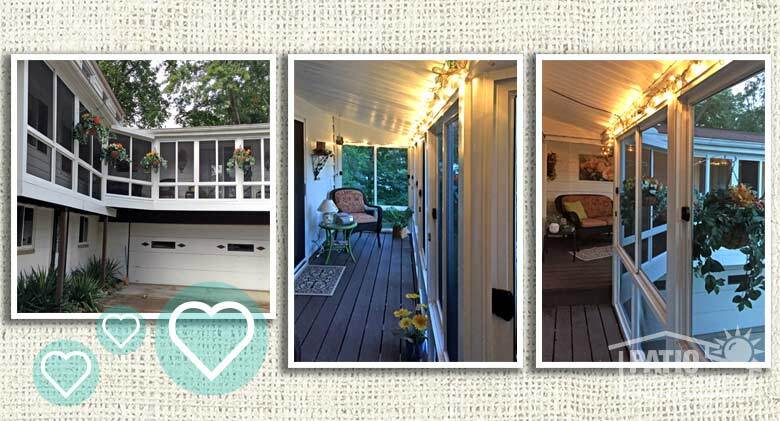 The pictures probably do not do the porch justice." "What I love about my room is it is my complete oasis! It's something I look forward to every day to just destress. It's our family time area away from electronics, the TV, computers and just spend quality time. My girls love to do their homework out there. It's quiet, bright and still close enough to the house if they need help. Even on a cold winter day as long as the sun is out we can still use it with a small space heater. It's encouraged reading books and playing games. So positive for health, family and happiness!" "Our home backs to woods and with our previous stone patio, we were only able to enjoy it in prime weather conditions. Since we've had our climate-controlled, four-season, Patio Enclosures sunroom and deck installed, we've been able to enjoy the view in the coldest of winters as snow billows across the sky and in the heat of summer as wildlife travels to and from the woods. 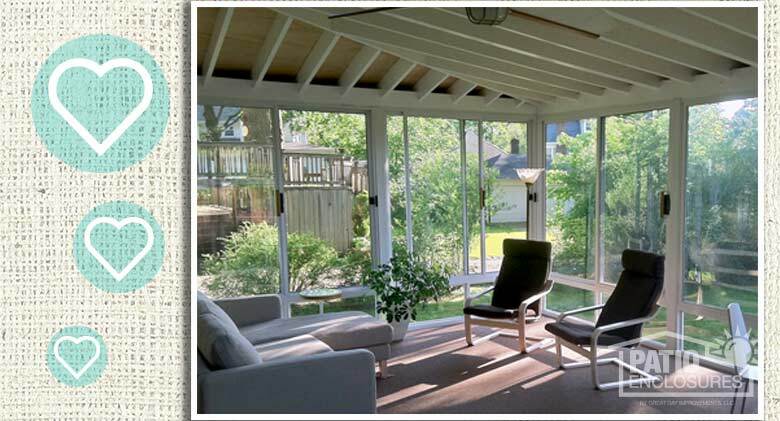 Being a Realtor by profession, I go in lots of other houses with sunroom additions. Most, if not all of the others, are constructed with vinyl windows and vinyl exteriors wrapped around a wooden frame. Vinyl is known to expand and contract with the sun and temperature, therefore that movement effects how the windows function from season to season. With an aluminum room, that's never a factor and my windows glide easily time-after-time, no matter the season or weather conditions. Even today, 7 years later, they function like they were brand new. 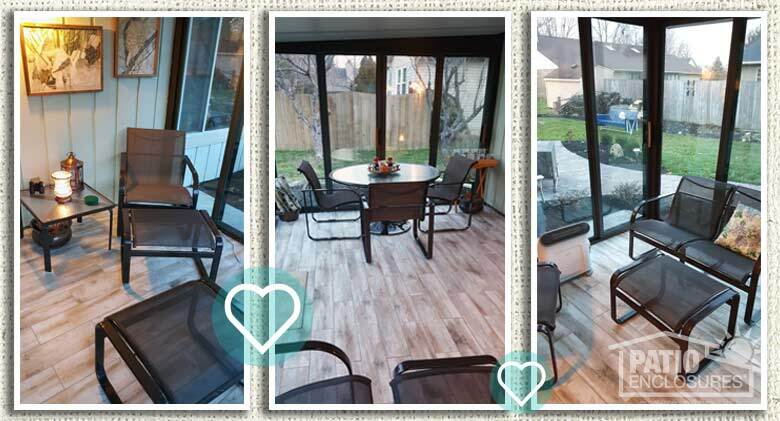 We LOVE them and we love the usefulness of the sunroom and the attached maintenance-free deck. It is hands-down the most used space in our house whether we're home alone or hosting a large group of guests. The strength of the structure is impressive as well. Over the years we've had as much as 3 feet of snow on our sunroom roof and there's never any concern. 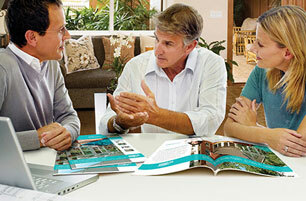 The engineer and installation crew at Patio Enclosures were an absolute pleasure to work with. Being a person who gives much attention to detail and expects quality, friendly service from contractors who work for me, Patio Enclosures delivered again. That's not something I find too often with most service providers. 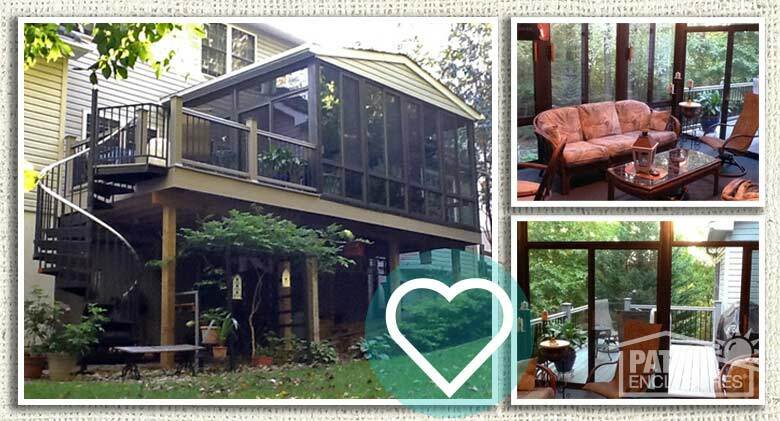 My wife and I highly recommend Patio Enclosures to all of our friends, time-after-time." 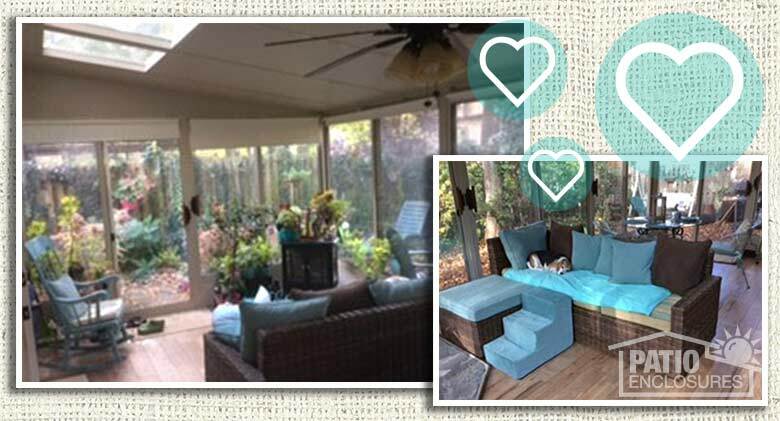 "I LOVE my Patio Enclosures room! ... I'm out there several hours nearly every night in the summer, to watch football games on TV on crisp fall days, and to read on sunny winter days. I'm now also able to keep some outdoor plants over the winter (with the help of a space heater on the coldest nights.) And I'm sure having that room enclosed is helping with the heating/cooling bills for the rest of the house. 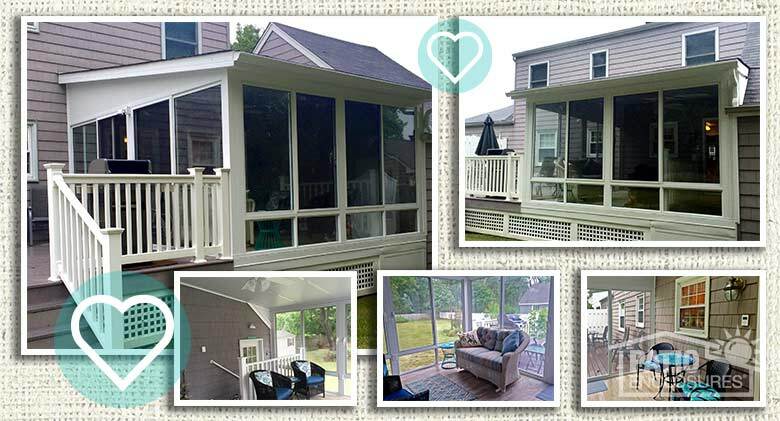 Having the screened porch transformed has been one of the best expenditures I've ever made. The entire process was very smooth from planning to completion and the workmanship is proving to be excellent (after 5 years)." "I am delighted to reply to Patio Enclosures request detailing the benefits we are already enjoying since our new rooms were completed in June 2016. 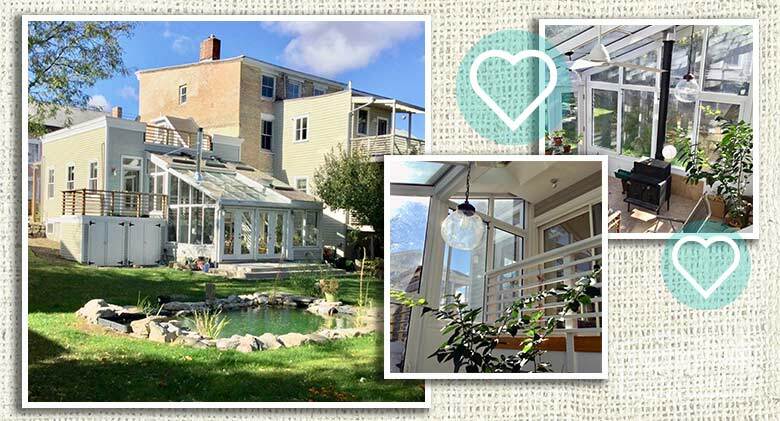 First, we converted a small upper patio and a lower larger patio into glass-enclosed rooms for three-season usage. Both rooms were constructed with meticulous attention to detail by PE workers. Second, we are able to use the rooms as sitting areas where we can entertain guests or watch the birds feed relatively close to the house. Also two new magnificent reading rooms with natural light. Third, I believe we are going to see that in the colder days passive solar heat will make a significant dent in our heating bills. We should know by November. Finally while taking care of plants and flowers in the greenhouse we will be receiving a steady dose of vitamin D while riding my exercise bike. Altogether, two new multi-purpose rooms have added significantly to the financial value and attractiveness of our home as well as our enjoyment." "Our room is so comfortable. We are always out there, breakfast to dinner. We get about 10 months out of it." "... I had this room added to my home several years ago. I added a gas fireplace as well as an air-conditioner and we use this room every single day of the year! Nothing better than having my morning coffee watching the snow falling during the winter or watching the wildlife playing in my yard all summer long. Best money I ever spent and by far the best addition I could have made to my home." 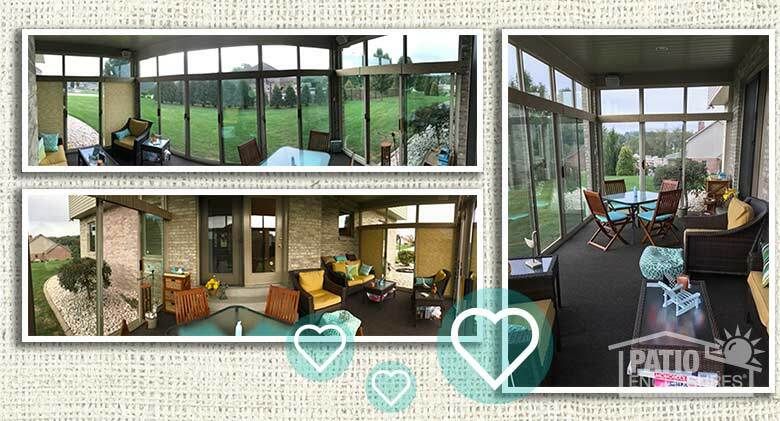 "What we love best about our patio enclosure is its long-lasting beauty and durability after 35 years! We've used it and remodeled it to keep up with our home ... it's really is a true room addition, as you can see!" 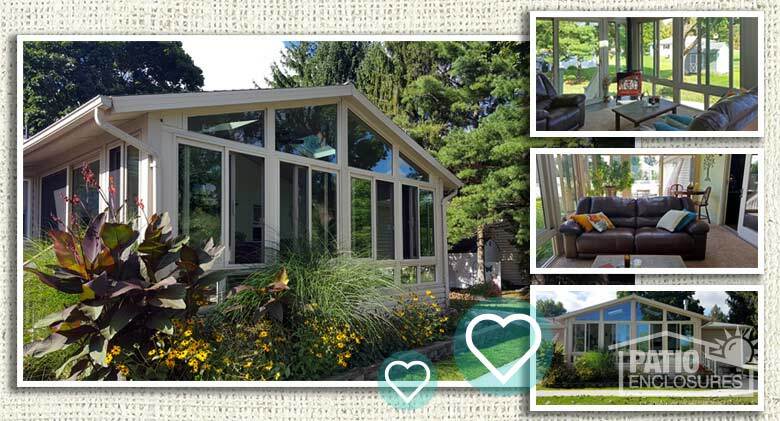 "Our entire family loves our sun room, now in our sixth year of enjoyment! Mom loves the sunny and warm place to read. The kids love the added space for game night. The dogs absolutely love the sun. And Dad loves the added value to our home and says it was one of the best investments he made! Many thanks to you for improving our home life." 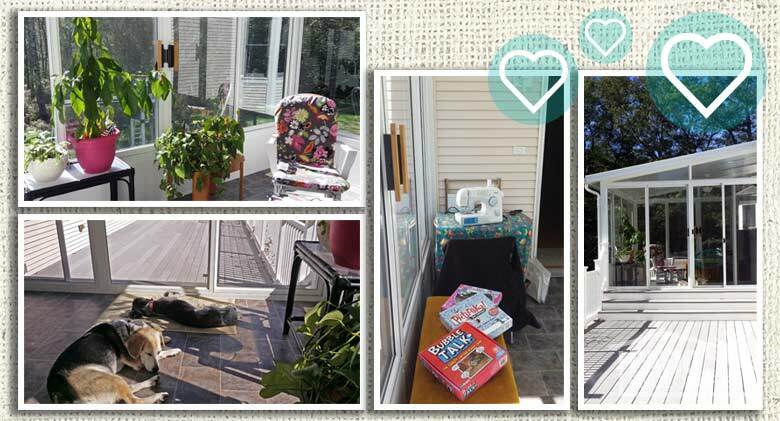 "There are several reasons why I love my sunroom. Once it was built, it was just like it had always been there! It is very bright, especially since we put marble vinyl tiles on the floor. It was not hard to put these in, and these tiles really made the whole room very pretty. The floor underneath is very sturdy, I was watching while they constructed it and saw the very fine materials that were used. I also love the way the screen doors and glass doors slide so effortlessly. The glass doors can be opened so that they allow a nice breeze to flow through the room making it easy to control the temperature. 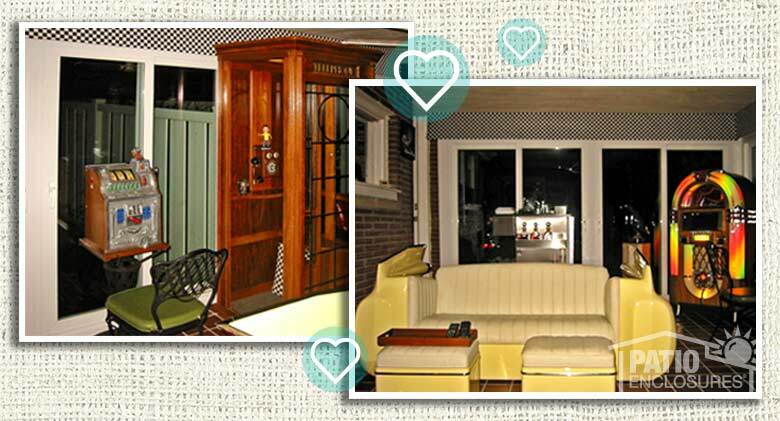 It is a wonderful addition to our home, and we are all very pleased with the room." 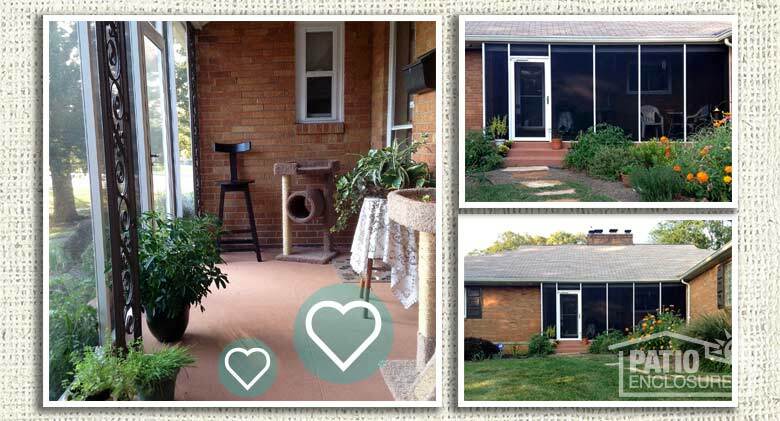 "This room was done to give me and my cats a safe place to enjoy the outdoors. It is fantastic. The staff was great through the entire process and the finished product is everything I had hoped for. It is visually appealing and added to the curb appeal of the house; the quality is solid and the workers who installed it were professional, courteous and cleaned up the site when they were finished. We spend a lot of time on the porch. 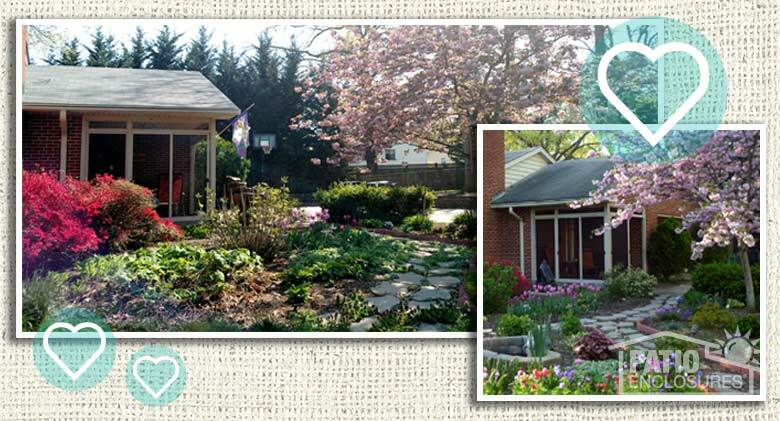 It's like I added square footage to the house and I wish I had done this years ago." 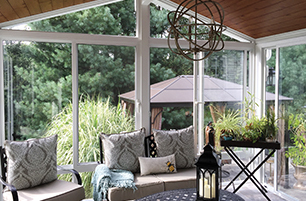 "What we love most about our remodeled sunroom is the openness and feeling of being outdoors while protected from the elements. The windows are so easy to open and close and at the same time are sturdy and solid. We dine in this room now all year round, using a heater in the winter and ceiling fan in the summer. So far, it has been a great experience." 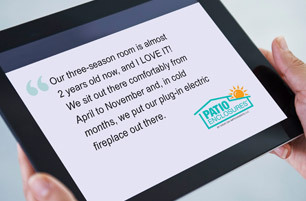 "We love our Patio Enclosures screen room because it allows us to enjoy the summer and fall evenings in a mosquito-free environment. I used to flee indoors once it was dusk and now our guests can hang out in the backyard bug-free and in the fresh air. 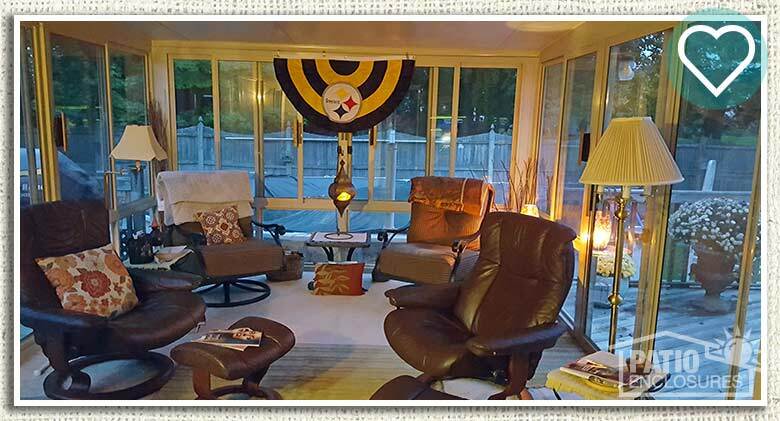 I added a TV so watching football games now is like tailgating at home every Sunday!"